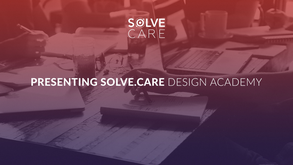 We’re looking for Students who would like to join our 2-month Solve.Care Design Academy course and become professional UI / UX designers. This is an exciting opportunity to grow with our company as you learn about the UI/UX role. You will be working with design of web and mobile applications and will be taught how to work with Sketch and InVision. — Have Upper-intermediate English or higher. — Conceptualize original ideas that bring simplicity and user friendliness to complex design roadblocks. If you are interested in such opportunity please fill in the form.